What was the Scottish Enlightenment? Long since ignored or sidelined, it is now a controversial topic – damned by some as a conservative movement objectively allied to the enemies of enlightenment, placed centre stage by others as the archetype of what is meant by ‘Enlightenment’. In this book leading experts reassess the issue by exploring both the eighteenth-century intellectual developments taking place within Scotland and the Scottish contribution to the Enlightenment as a whole. The Scottish experience during this period forms the underlying theme of early chapters, with contributors examining the central philosophy of the ‘science of man’, the reality of ‘applied enlightenment’ in Scotland, and the Presbyterian hostility to the spread of ‘heretical’ ideas. Moving beyond Scotland’s borders, contributors in later chapters examine the wider recognition of Scotland’s intellectual activity, both within Europe and across the Atlantic. 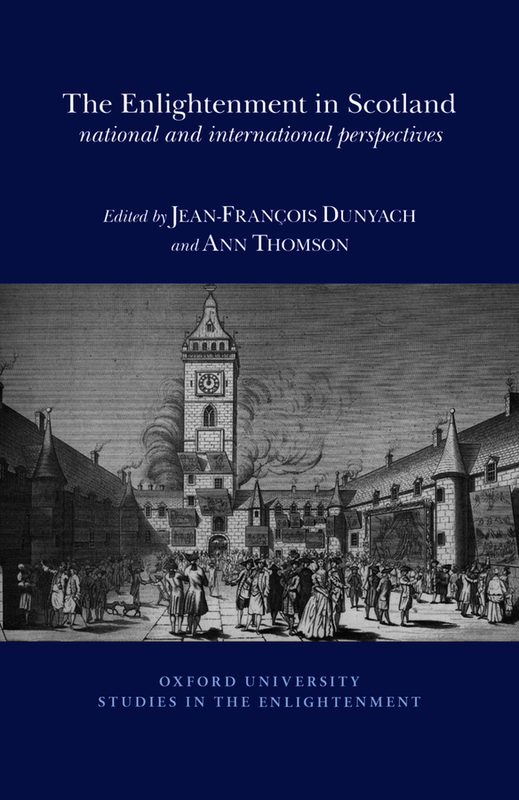 Through a series of case studies authors assess the engagement of European intellectuals with Scottish thinkers, looking at the French interpretation of Adam Smith’s notion of sympathy, divergent approaches to the writing of history in Scotland and Germany, and the variety of Neapolitan responses to Scottish thought; the final chapter analyses the links between the ‘moderate Enlightenment’ in Scotland and America. Through these innovative studies this book provides a rich and nuanced understanding of Enlightenment thought in Scotland and its impact in Europe and North America, highlighting the importance of placing the national context in a transnational perspective.